Genuine Brother WT4CL (WT-4CL) Waste Toner Pack for Brother HL-2700cn/ MFC-9420/ MFC-9420cn printers. 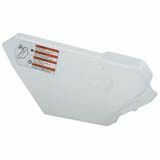 Xerox 016-1932-00 Premium Quality Compatible Maintenance Kit designed to work in the Phaser 8200 fax machines. The use of compatible supplies does not void your printer warranty. Lexmark 40X2592 Premium Quality Compatible Fuser Kit designed to work in the T640/ TT642/ T644 fax machines. The use of compatible supplies does not void your printer warranty. Lexmark 56P0648 Premium Quality Compatible Fuser Kit designed to work in the T420/ X422 fax machines. The use of compatible supplies does not void your printer warranty. IBM 56P1409 Premium Quality Compatible Laser Printer Usage Kit designed to work in the InfoPrint 1332/ 1352/ 1372 laser copiers. The use of compatible supplies does not void your printer warranty.